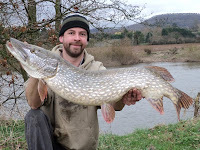 Pike Blog: The Wye - Photos Added! 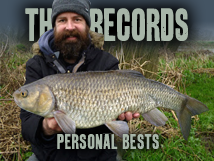 Thanks for all your comments Paddy, had a great weekend - probably did about 27 hours fishing in three days! When it floods it comes up quick and is really fast, but it drops back quickly to, it's almost back to normal now and will probably fish again tomorrow or Wednesday. I can't get back to the Wye this season but hopefully Roger will give it another go this week. Still out fishing, just can't get back to the Wye... Roger's fish will be posted on here (technophobe).